I have created this sim using my own builds, animations, textures and such. All of the scripts are opensource and/or Creative Commons. For instructions on how to load an OAR file go HERE. 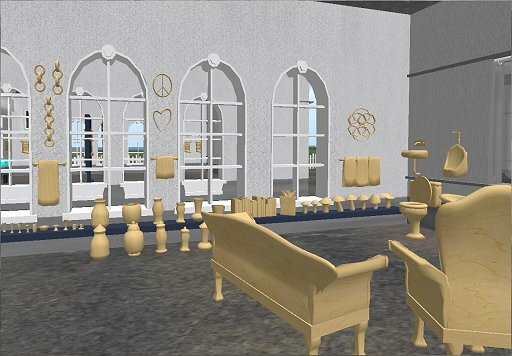 Below you can see a few snapshots of what the sim looks like. 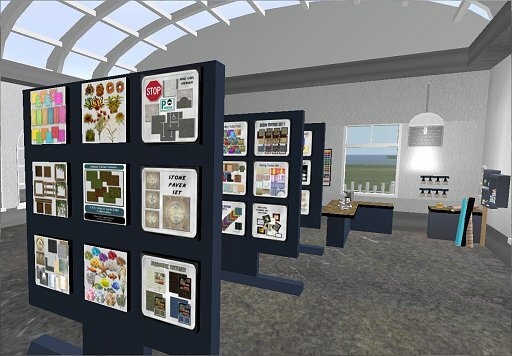 This sim has four building supply stores and then the rest of the sim is all sandbox area.You and your visitors can pick up all the building supplies needed and then walk a few steps out into the sandbox area and build just about anything. 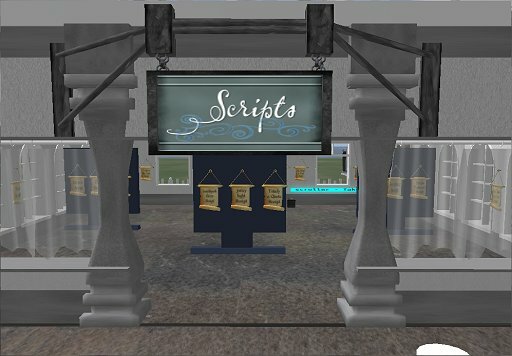 This script store is filled with scripts that I got off of free script websites or have found around the grid that are licensed under the Creative Commons or other opensource licensing. 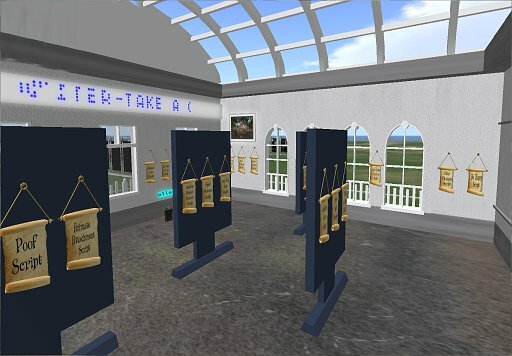 These are all scripts that seem to work on OSGrid so will probably work on most OpenSim grids. 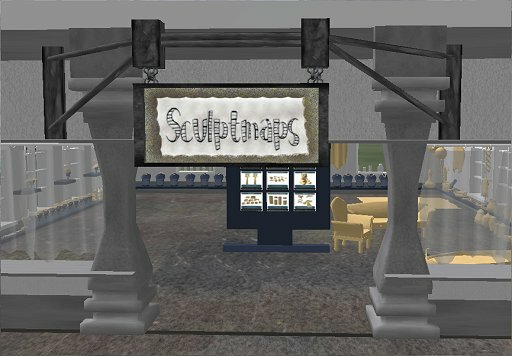 I have put my sculptmaps in this store along with premade sculpty bases that I call “prototypes”. You can use these any way you want and just add some textures or reshape them or link them with other things. Remember that they don’t need to be used in the way I have used them here. Many times I take a vase and make a piller or lamp or something out of it. Let your imagination go wild and create some unique things to sell, share or give away. 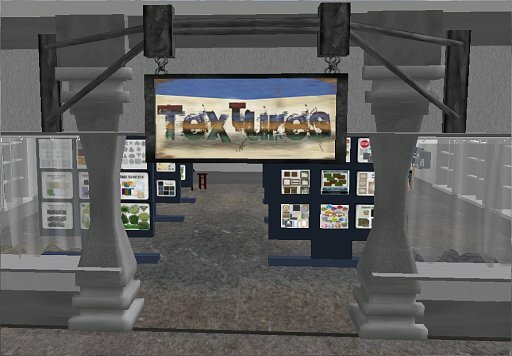 This store is great for anyone wanting to create clothing. 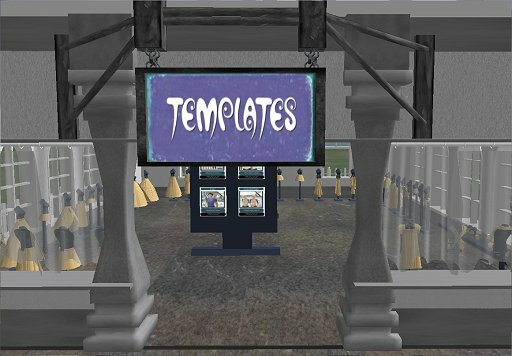 I have included some (but not all) of my clothing templates. Find more at this website in the clothing section. 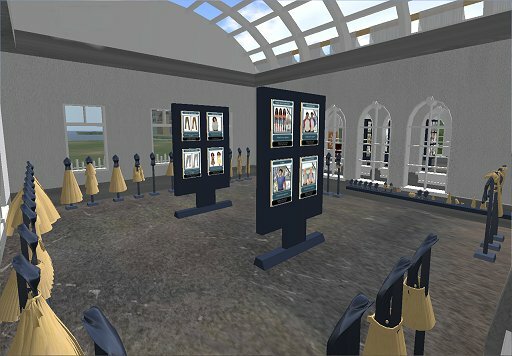 But here you can find many premade clothing items (as well as in the sculpty store on this sim). Many skirts, silks, capes, sleeves and more are here. Use them in your own creations in any way you want and on any grid. Textures and more textures. These are all of my full permission texture packs that you can use without any fear of breaking any rules because there are none. These are all my orginal creations that don’t come with a TOS. You just get to do whatever your little heart wants.